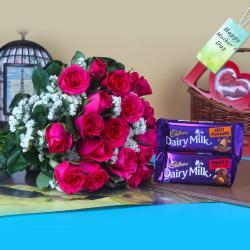 Product Consist : 20 Pink Roses Bouquet along with 10 Assorted Chocolate Bars. Giftacrossindia.com is well known for its classic collection of occasion gift products. Mother's Day is the most significant one as it celebrates the very essence of pure love. You will never run out of options here. Be it any occasion and any genre of person, we are here to fulfill your wishes. 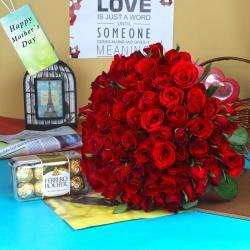 Here we bring to you an amazing Mother's day gift hamper for your perfectionist mom. It is also a great time to show your love for all the other wonderful women in your life like to your Elder sister, or to your Aunt or to your Grandmother. Mother is like a walking miracle as god could not be everywhere, and therefore he made mothers. 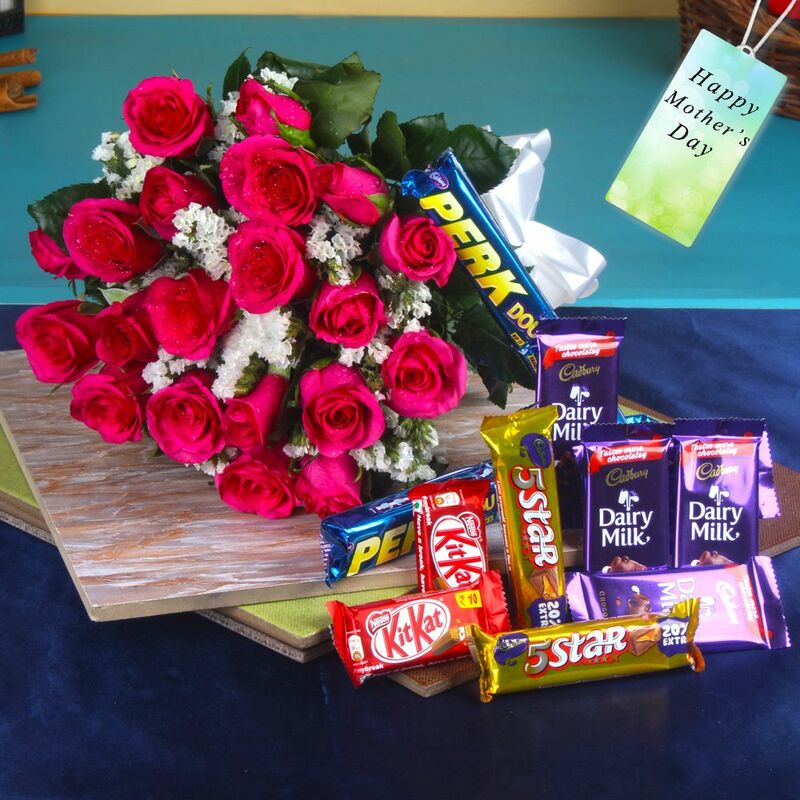 Win mom over with an amazing Assorted Chocolates gift it is features an assortment of Indian chocolates on this Mother's Day. 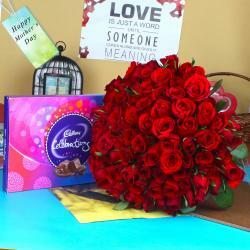 Send with Beautiful Pink color Roses Bouquet to make her happier. Browse your favorite products it is very conveniently available for online shopping from anywhere in India with Same Day Delivery option. So go on and place your order now to show her how much she means to you. 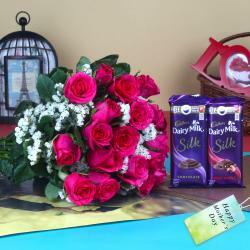 Product Includes : 20 Pink Roses Bouquet along with 10 Assorted Chocolate Bars.